Naughty Dog understands that we are all busy people, and don't have time to wait for a game to finish downloading before playing it. 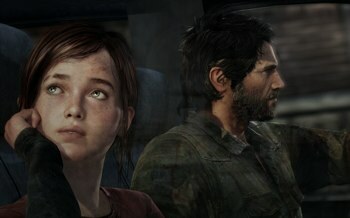 Naughty Dog's action-adventure/survival-horror thing The Last of Us will hit shelves on June 14. But, some of us live in the future, and are too busy/important to join the rest of the peasants lining up for midnight launches at brick-and-mortar stores. No, we buy games digitally, and have them delivered to our system directly while we laugh at people who have to endure driving all the way to the store to get their gaming fix. Some of us are even too busy writing news articles for big important gaming websites to actually wait for our digital downloads to complete, and until now, there's been nothing we could do about it. I have often sat at my TV or computer, silently fuming that I can't play my videogame until that progress bar hits 100%. Luckily, Naughty Dog has me covered, announcing that the game will be playable once the download reaches 50%. The digital version of the game will also be available on June 14, the same day it hits retail. That means, if you have a fast enough connection, you can be playing The Last of Us while those retail plebs are still stuck in traffic on the highway, or waiting for the FedEx man to silently knock three times on their door and then slink away into the night, leaving naught but an "undeliverable" notice. It was previously revealed that digital downloads on the PS4 will be available to play almost instantaneously while they are still downloading. Furthermore, a system where you can access your PS4 from your phone or PC will allow you to set up a download while still at work/out of the house, so it's ready to play when you get home. Lastly, the PS4 will automatically download updates while it's in sleep mode. These all seem like pretty cool features, but I can't help but feel like they are only to offset the massive 50 GB size that PS4 games are reported to have. In the meantime, it's nice to see Naughty Dog implementing such a feature to help out its digital customers. Digital distribution has seen a significant rise in the last few years, with Sony, Microsoft, and Nintendo making a large majority of their games available for download at the same time as their retail release. PC gamers have seen the benefits of digital distribution through Valve's Steam service for years now, and competitors such as Origin and Uplay are starting to become more significant.